When was the last time you met an ambassador in the sport of drag racing? It’s a title normally reserved for an accredited diplomat who works in a foreign country representing his or her country. However, in the case of Australian drag racer Adam Layton, he was recently selected by GoPro (Aust/NZ) and appointed a brand ambassador. Layton has enjoyed a fast rise in popularity since stepping into the professional ranks of Top Fuel Motorcycle. For a nitro rookie, his rise has been swift. After only a handful of championship events under his belt, Layton has achieved two final appearances and is currently sitting third in the 2017/18 400 Thunder points. 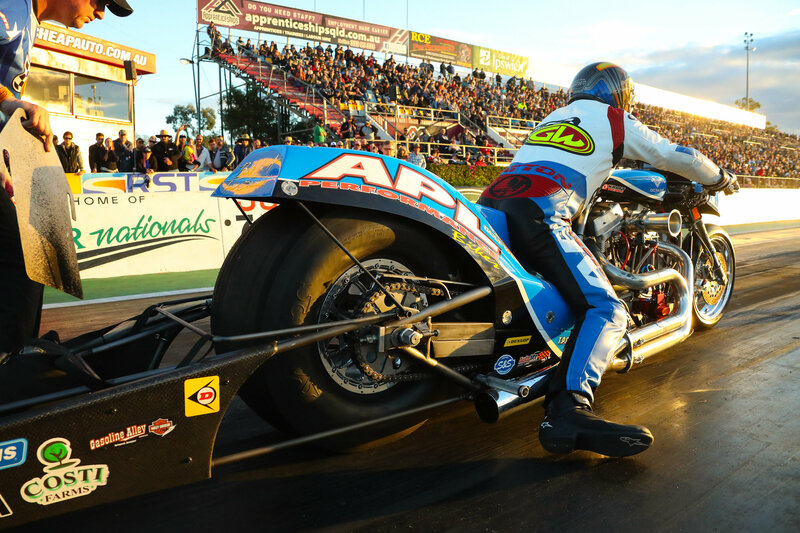 At the recent Santo’s Summer Thunder event at Sydney Dragway, Layton recorded a new personal best elapsed time of 6.49 seconds over the quarter-mile. His nitro-burning machine pushes out over 1500 horsepower, and with speeds approaching speeds of over 200 mph (321kph), his Harley-Davidson requires a parachute to slow down after each run. Hodder is a huge fan of motorsport and had a keen eye on Layton and his success in drag racing – both on social media platforms, and in the general motorsport media. “I’ve enjoyed watching Adam’s progress with his nitro Harley-Davidson. It’s clear that he and his team represent the excitement and social progression that is core to the GoPro brand. “We are excited to have Adam join us as a GoPro ambassador and follow his journey in 2018. His popularity with the fans on social media is something we looked at. I can’t wait to see what he can create throughout 2018 with our GoPro products, said Hodder. Layton added, “ I’m blown away by my appointment as a GoPro Brand Ambassador. I have used the GoPro product over the years and love it. The family and I have taken the cameras away with us holidays and always have a bunch of fun with the kids. We have also strapped it onto my street bike on some of my APL Performance Bike rides, and also on my nitro Harley. 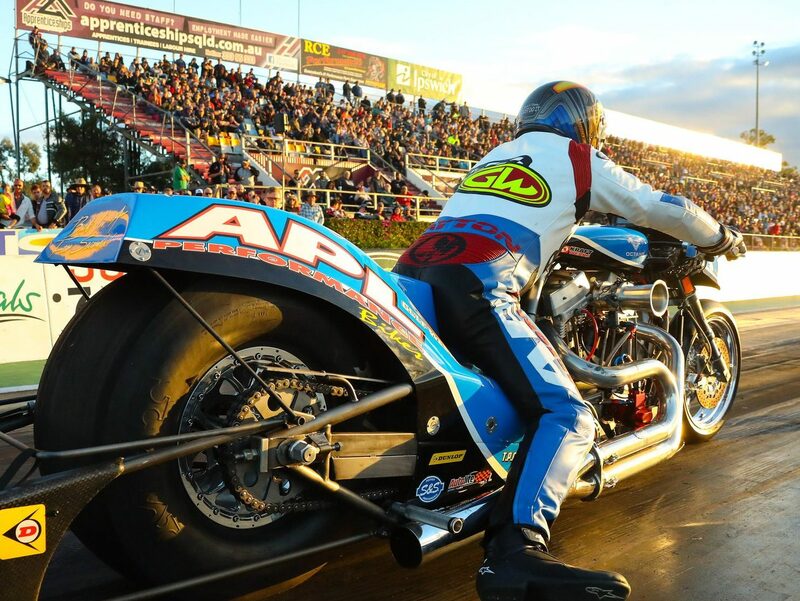 “The drag bike is an animal and vibrates a lot, but with GoPro HERO 6 improved image stability, I can’t wait to test it out on the drag strip and showcase its awesome features on my social media page”, finished Layton. 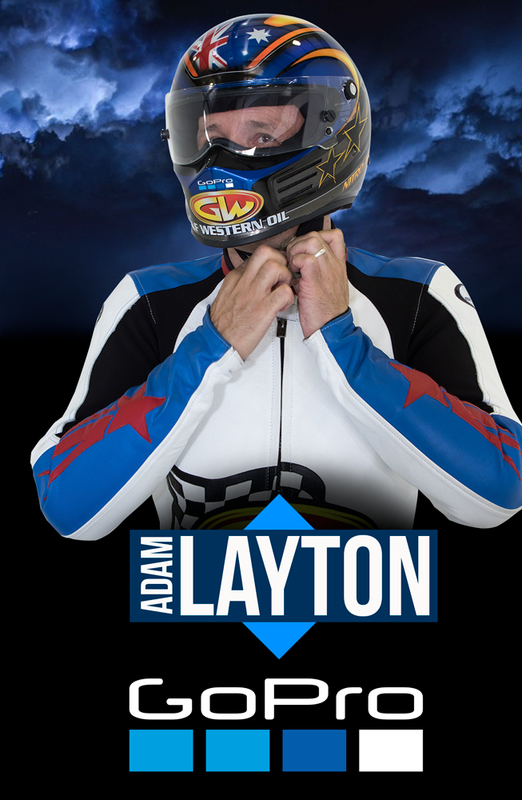 Adam Layton Motorsport will be contesting the final two rounds of the 400 Thunder Top Bike Championship in Sydney Dragway on May 4-5 and at Willowbank Raceway in Queensland for the Gulf Western Oil Winternationals on June 7-10.